Full debutant Jordan Roberts admitted that he and his team-mates were disappointed not to claim all three points from Saturday’s 1-1 home draw with Preston but believed the performance in new manager Paul Lambert’s first game in charge has given the Blues something to build on. “There was a bit of disappointment in the changing room after the game but that’s something for us to build on going forward,” the 24-year-old said. “We’ve set the bar high now with our intensity, our training and how we play so there’s no reason we should dip below that. “If everyone goes out there and gives their all then we have a lot of people with points to prove. We go out there and give our all and if we keep doing that then points will come. Roberts was a surprise inclusion as a central striker having made only two sub appearances since signing on a free transfer in the summer after turning down a contract at his former club Crawley. “From the start I was just happy to be in the starting XI so to go out there and make my full league debut was a big thing for me,” he added. “I think I worked hard and made an impact on the game and was able to leave everything out there. “I’ve been working hard, staying fit and doing what I can so when you get an opportunity to go out there you have to take it with both hands. Roberts has primarily been regarded as a winger during his career but played down the middle for the Blues in pre-season and has also occupied that role for the U23s. 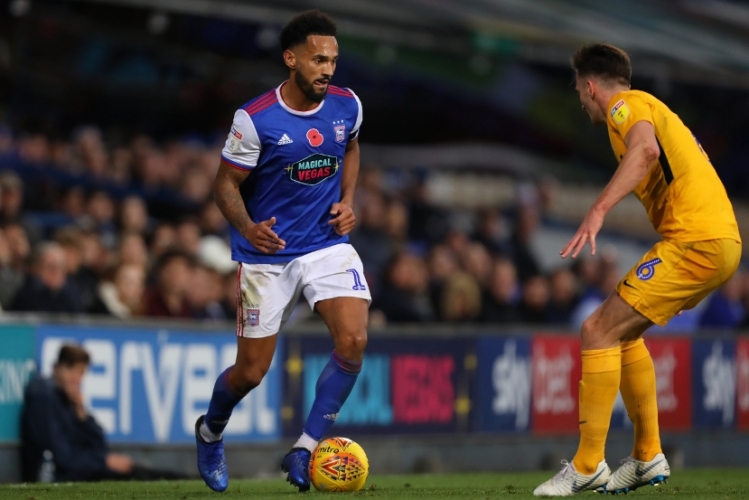 “We’ve been working on different patterns of play this week and I was down the middle so when you go out there you need to adapt to the position,” the ex-Aldershot and Inverness Caledonian Thistle man said. “Me playing down the middle is something I don’t mind doing because I think I have the attributes to do that and bring something to the team. “When called upon I have to go out there and do what I can. It’s all about adapting because you might play out of position sometimes but you need to put in a shift wherever you’re asked to play for the team. “I’m happy to play anywhere on the pitch but you have to be able to make an impact, which I thought I did. “I enjoy playing down the middle and hopefully I can start adding some goals to the team. It allows me to show a different side to my game, holding the ball up, and I enjoy it. Regarding the slow start to his time at Town, he said: “It’s been a bit frustrating, not being involved as much as I’d like to be, but when you get your opportunity you have to take it. I’m looking to build on that now. “It’s my first season in the Championship so I have to go out there and prove a point in a way. “The fans haven’t seen too much of me and I was out there to prove a point and try to stamp my authority on the game. Preston midfielder Paul Gallagher reflected on his poacher-turned-gamekeeper performance from the bench, the once-capped Scotland international having scored his side’s equaliser on 73 a minute after coming on before taking over in goal in the 77th minute following Chris Maxwell’s sending off. "The manager told me to go on the pitch and make an impact, so it was an incredible 20 minutes or so,” Gallagher reflected. “My first touch was as a goalscorer and the second was as a goalkeeper. I have never done that before. “I said to the manager I will go in goal. He told me he was going to speak to Louis [Moult] so I said to him if you don’t want to go in I will. I used to play in goal as a kid at Blackburn academy so that held me in good stead. He says his side needed to take at least a point from the match: “The most important was we got something from the game. Ipswich came out the blocks quite quick with a new manager. “We were disappointed to give the goal away, then in the second half the crowd were right behind them and they put us under a lot of pressure. Regarding red-carded keeper Maxwell, the Glasgow-born schemer added: “Max plays like that as a sweeper-keeper but I said to him about the amount of times he has saved us. “I felt confident about going in goal, while Louis did a great job slotting into midfield. "I was buzzing in goal and wanted the game to go on longer because I was enjoying it and felt the longer the game went on we could have won. "I made a save at Newcastle but didn’t have the gloves on then and got sent off. The 34-year-old was with Leicester City between 2009 and 2015 and dedicated his goal to Foxes chairman Vichai Srivaddhanaprabha, who was among those who died in last week’s helicopter crash at the King Power Stadium. “It was devastating news,” he said. “All of football came together united as he was a fantastic man. Meanwhile, Town's top-of-the-table U23s are in action against Cardiff City at Portman Road this afternoon (KO 1pm). Entry to the Cobbold Stand only is £3 for adults and £1 for concessions, while season ticket holders and members will be admitted free. The Blues' U18s were beaten 3-1 by Millwall at their Calmont Road training ground on Saturday morning. A very good effort Jordan, well done. I thought his movement was very good and he created space for himself on more than one occasion. Hopefully more to come including putting the ball in the net. Just needs more game time now I believe. so this bloke is okay ,but the previous manager never played him . sold all 3 of our only good players and then played loads of duds ? this is the impression i am getting here in Australia...is there any even little sniff of the ipswich team i last saw play live, that included mariner ,wark,burley,mills,cooper,thissen,butcher,brazil,macCall, woods ,gates ..? Full credit to Roberts for how he played Saturday. How refreshing to have someone who can actually win a header playing up front! I hope remains up front until January along with Sears and Edwards. As for Hurst ..... hang your head in shame mate. bobble: no, not a sniff. We are in Poundland now. But they try hard, and we have to support what we’ve got. They may improve by playing together more regularly. Saturday we moved out of Poundland in to B & M !!!!!!! @Steve_ITFC_Sweden & brittainiaman - Considering Poundland and B&M report massive growth selling "budget" items when many established "higher end" brands are failing with much more, I'm not sure those comparisons quite work. I think we're more like Homebase. Had is great in our day but always punched above our weight, but failing badly now with poor quality reputation and stock from (previously) clueless leaders out of their depth and underestimated the marketplace. Now we've had a "buyout (New Manager)", hopefully he can re-invent the business and take us back to profitability. Was impressed with Roberts and Sears on Saturday but can't help thinking the damage has been done. I'm more confidant about the game at Reading than I would be with Hurst in charge but draw or lose against them and the same against WBA and the hill to climb could be too much for this group of players, let alone what it could be by January. A win however and who knows what that will do for the confidence and belief in Lambert. Hurst's legacy was to hollow out all the quality the first team had and I can't think of a previous manager who has done so much damage to Town in such a short space of time. A very impressive debut Jordon, good movement and most all its the first time this season we had a striker who actually headers a ball. Keep it up son. help arrives in Jan. hopefully he will grown in confidence & start to score. Not sure why Hurst signed him & didnt play him. Afterall he used 27 players, one more wouldnt have mattered!! 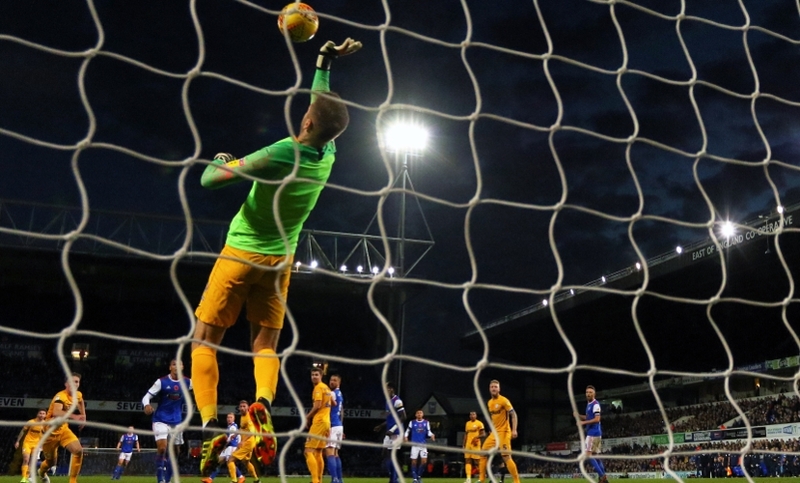 I think the season for ITFC could well be decided by Xmas if you look at the forthcoming games.That's not to be negative,football is a funny old game and until Xmas,we have a chance!Keep within grasp of the others until then and the transfer window may help.